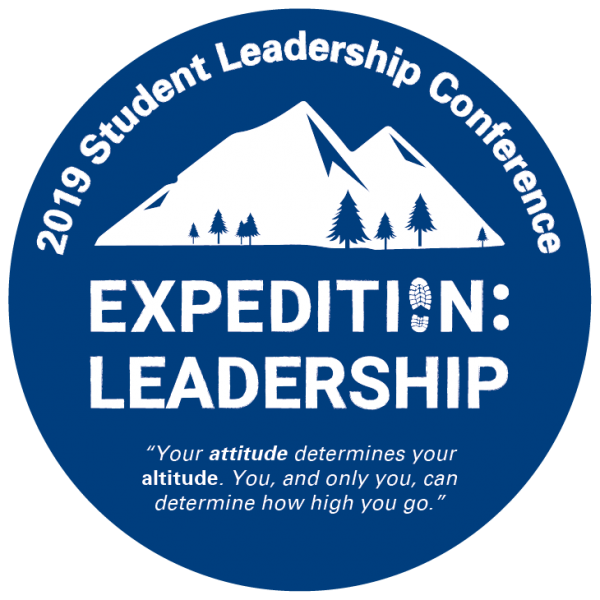 The NAU Student Leadership conference is an annual conference that serves as the foundation of new and innovative leadership development for hundreds of college students across northern Arizona. This conference is designed to help students tap into and grow their leadership potential, both personally and professionally. My advice to young people coming out of college is to dream big and stay focused on your goals. Find a career field that you are passionate about. Look for mentors that can steer you in the right direction. Speaking of leaders who are awesome to an extreme level, meet Robin Rumble Braun. Vice Admiral Robin Braun was the 12th chief of the Navy Reserve, and is the first woman to lead any reserve component of the military. She received her third star in a ceremony on a partly-cloudy, mid-August day in Washington, D.C. (August 13, 2012). As the commander of the Navy Reserve Force, she led approximately 60,000 reserve component personnel who supported the Navy, Marine Corps and Joint Force. Since reaching one of the highest ranks possible in the U.S. Navy, Northern Arizona University alumna Robin Braun (class of ’77) has blazed a trail that many have followed. Since her retirement from the Navy in 2016, Adm. Braun has served as a pilot for FEDEX, flying the Airbus A-300. She serves on the Board of Directors for the NAU Foundation and the National Naval Aviation Museum in Pensacola, FL and makes her home in Gig Harbor, WA. Despite her tremendous personal and professional achievements, Adm. Braun, ever humble, often thanks her husband Mike, son Tyler, daughter Rachel and her extended family for their support. She also frequently pays homage to her father, a naval aviator and combat veteran who served in the Navy for 32 years. During her distinguished career, Adm. Braun has had the opportunity to serve in a number of capacities and partake in a multitude of experiences across the globe. One of her most memorable service experiences was being a part of the relief effort that occurred during the aftermath of Hurricane Katrina in 2005. Adm. Braun has also been recognized multiple times for her service – her awards include the Defense Superior Service Medal, Legion of Merit (3x), Meritorious Service Medal (4x), the Navy and Marine Corps Commendation Medal (2x), and the Navy and Marine Corps Achievement Medal (3x). According to her official biography, Adm. Braun has accumulated more than 5,800 flight hours in Navy aircraft. As an accomplished pilot, Adm. Braun has flown missions all over the world. She has delivered Navy SEALS for special operations and moved sailors and supplies to destinations as diverse as Greenland’s tundra to the jungles of Malaysia. Adm. Braun often shares that all of these incredible opportunities were made possible thanks to the preparation she received during her undergraduate experience at NAU, and highlighted three areas from her time in Flagstaff that gave her a solid foundation for the future. We are glad to welcome her back to Flagstaff this February! First, I received a rigorous liberal arts education from great professors who took an interest in me and made me excited about learning. Second, I was involved in extracurricular activities that enabled me to learn a lot about leadership, teamwork, and follow-through. Third, I was surrounded by inspirational adult role models who were my teachers, administrators, advisors, and employers on campus. **NAU group registration fees will processed for $0 in the system, and be billed via Internal Departmental Transfer (IDT) after registration ends. Conference registration went live as of December 4th, 2018 at 12:00 am. All interested NAU and CCC students, as well as other northern Arizona community members, are welcome and encouraged to register for the conference. Paying the conference registration fees includes breakfast, lunch, an event t-shirt, and a day-long leadership expedition! Note: The registration fee is nonrefundable. Note: There is a $1 processing fee to purchase tickets online — in-person tickets can be purchased at the Ticketing Office in the University Union (Bldg. 30 on the map) for no additional fee. Individual Registration is for those who find out about the conference and want to go on their own, with their mentor, friends, classmates, etc. Group Registration is typically known beforehand (i.e your employer, program, club, organization, etc. wants to pay for you to attend the conference on their behalf) — some examples include Transfer & Online Connections, First-Generation Programs, ASNAU, etc. Space (and t-shirts) are limited, so be sure to register prior to the February 5th 2019 deadline. If you experience problems with, or have any questions pertaining to, the pre-conference questionnaire, individual or group registration process, or have a financial need and cannot afford the registration fee, please contact Nick Rathbone for assistance. Need directions? Find us on Google Maps! All breakout sessions at the Student Leadership Conference will focus on one more of the following program tracks, which are based off the National Association for Colleges and Employers Career Competencies. Programs in this area focus on exercising sound reasoning to analyze issues, make decisions, and overcome problems; obtaining, interpreting, and using knowledge, facts, and data in this process; and demonstrating originality and inventiveness. Programs in this area focus on building collaborative relationships with diverse colleagues and customers representing diverse cultures, races, ages, genders, religions, lifestyles, and viewpoints; working within a team structure; and negotiating and managing conflict. Programs in this area focus on leveraging existing digital technologies ethically and efficiently to solve problems, complete tasks, and accomplish goals; and demonstrating effective adaptability to new and emerging technologies. Programs in this area focus on leveraging the strengths of others to achieve common goals; using interpersonal skills to coach and develop others; assessing and managing personal emotions and those of others; using empathetic skills to guide and motivate; and learning how to organize, prioritize, and delegate work. Programs in this area focus on professionalism including personal accountability and effective work habits (punctuality, working productively with others, and time workload management); integrity and ethical behavior; acting responsibly with the interests of the larger community in mind; and learning from mistakes. Programs in this area focus on valuing, respecting, and learning from diverse cultures, races, ages, genders, sexual orientations, and religions; demonstrating openness, inclusiveness, sensitivity; and the ability to interact respectfully with all people and understand individuals’ differences. Become a 2019 NAU Leadership Conference presenter today! Submissions for the 2019 conference have closed. Are you interested in sharing your leadership experience or development opportunities with other students? We are looking for presenters to exemplify this year’s theme of Expedition: Leadership. NAU students and professionals are encouraged to submit proposals for 50-minute sessions via the online form. All proposals must be submitted by Friday, January 25th, 2019. For any questions about the application or selection process, please contact Paul Rehn. We’re excited to view your submissions!